UNITED STATES: Two bird charities have criticised the environmental impact assessment submitted for LeedCo's 20.7MW Icebreaker offshore project in Lake Erie, Ohio. The local Black Swamp Bird Observatory (BSBO) and the American Bird Conservancy (ABC) rejected the claims in the assessment that the six-turbine pilot project posed no threat to migratory bird and bat species. The groups argued there was no evidence to support this claim. The EIA was prepared by the US Army Corps of Engineers and the Department of Energy. "Based on our exhaustive review of the EA, we see no evidence to support the claim that the project poses little to no risk to birds and bats," said BSBO executive director Kimberly Kaufman. "In fact, having conducted more than 30 years of migratory bird research along Lake Erie, we believe the six-turbine Icebreaker project would pose a significant threat to wildlife — not to mention substantially increased impacts that would be triggered by the planned expansion of the project to more than 1,000 turbines." The charities said the "assessors relied on limited visual surverys conducted only during daytime and in good weather". 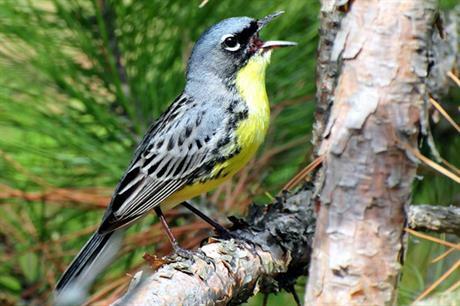 They stressed the Kirtland's Warbler was among the species at risk.